A delegation of young people from the Archdiocese of Philadelphia departed on a pilgrimage to Brazil on Monday, July 22 From St. David Parish in Willow Grove to participate in World Youth Day (WYD) with Pope Francis in Rio de Janeiro through next week. This will be Pope Francis’ first appearance at World Youth Day as the Holy Father. Young people from parishes throughout the Philadelphia area will attend WYD, 20 of whom will also visit the Basilica of Our Lady of Aparecida, patroness of Brazil. The basilica is the fourth most popular Marian shrine in the world. 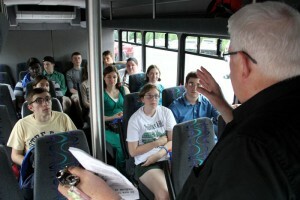 More than 9,500 young people from the United States are expected to attend WYD. World Youth Day is a gathering of Catholic youth with the Holy Father, established by Pope John Paul II in 1985. It is celebrated annually in Rome at the diocesan level on Palm Sunday and at a week-long event in a different city every two to three years. 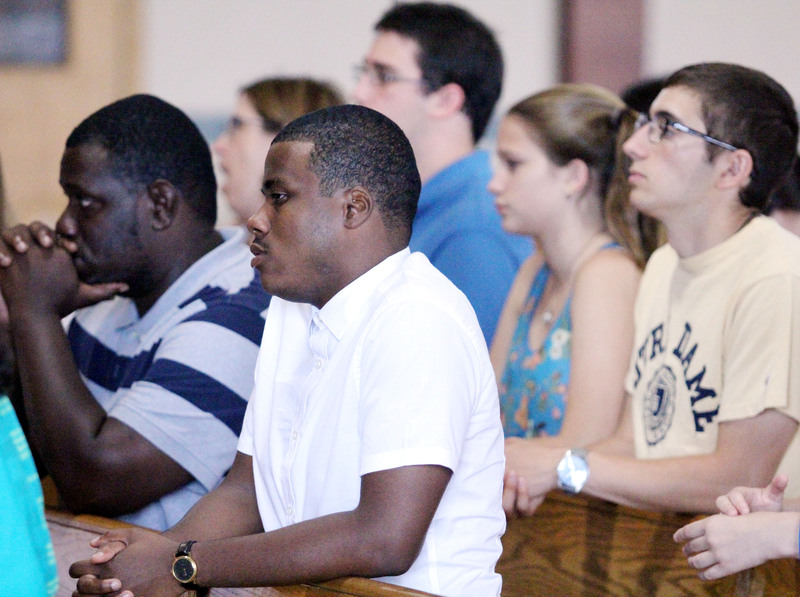 Lorenzo Cannon-Umstead from St. Ignatius Parish prays with fellow youths during Mass July 22 at St. David Church before departing for World Youth Day. 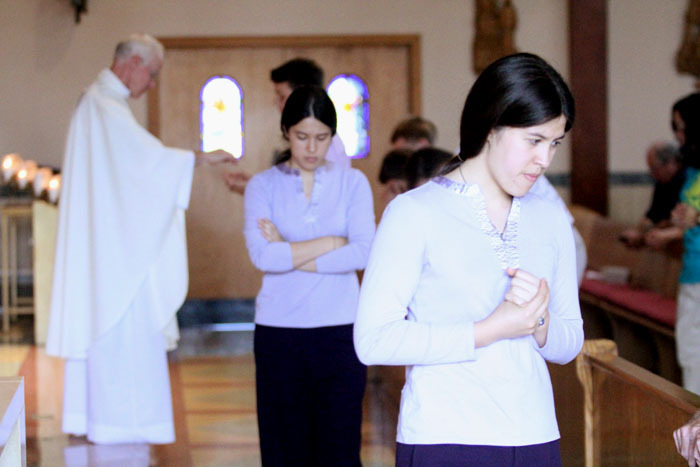 Elizabeth and Kimberly Feeney receive holy Communion at a Mass July 22 at St. David Church in Willow Grove before their departure for World Youth Day in Rio de Janeiro, Brazil. Zane Christmyer (left) from St. Norbert Parish in Paoli loads his bags on the bus with the help of his dad Mark. 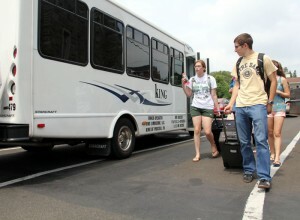 Erin Stolmyer-Mulholland and Marco Cerritelli are packed and ready to go. 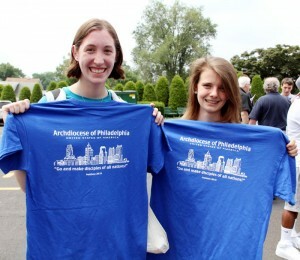 Katie Blum (left) and Rose Robinson from Our Lady Help of Christians Parish in Abington show off their new World Youth Day T-shirts. 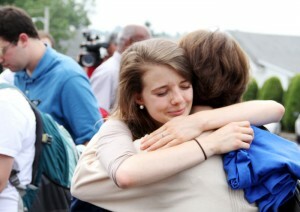 Rose Robinson gives her mom one last hug goodbye. 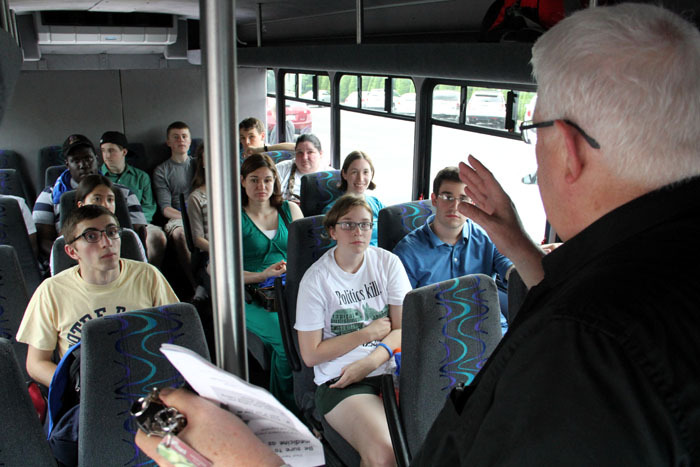 Father Richard Connors, pastor of St. David Parish in Willow Grove, gives the youths a blessing on the bus before their departure to the airport.